A significant portion of people in Russia who want to go abroad, seek to settle it in Germany. Indeed, it is a highly developed European country with one of the most powerful economies in the world and with good conditions for life. But for work on its territory must obtain a work permit. How do you do it? - certificate from the labor Agency. Decide what kind of work you want to perform in Germany. Depends on the type of permission that you will need to get. There are three - to long-term, short-term work in au-pair - AU home. Find an employer who is willing to employ you. This can be done through international recruitment Agency or by contacting the organization directly. For employment au-pair there are special sites, for example http://www.au-pair-job.de/Aupair-in-Deutschland.html There you can find contacts of the host family and contact her. If both sides are satisfied, you will receive an invitation. Gather the necessary documents. Apply for passport if not previously done so. You will need to contact the district office of the Federal migration service. You will also need to issue a contract of employment or to receive an invitation to work from the host organization. Additionally, the German employer should send you a certificate from the labor Agency, which agrees to the results you permission to work. Remember that all documents, except passports, must be translated into German language and notarized. Also, each paper need to make two copies. Issue an insurance policy with validity of at least three months. This can be done in any large insurance company. Attach a copy of it to the rest of the documents. Also, take from the website of the Embassy and fill out the form for entering work. Print it in two copies and complete his picture. Sign up for submission of documents to the Embassy of Germany. Them in Russia a few, you should choose the one that is closer to your place of residence. Come at the appointed time to the Embassy personally with all the papers. Pay the fee, which is for 2011 60 Euro. If a positive decision will receive the documents on the appointed day. Your passport will be affixed with special visas. For au-pairs and it will permitm to work. In other cases, after their arrival in Germany, you will need to contact the employer to clarify the need for further administrative procedures. A working visa in Germany no routine and for a certain period of time (season). Seasonal visa in Germany can be up to six months on a work - year is minimal. To obtain a visa to work in Germany is problematic. This is due to the fact that the country has a law on the prohibition of the employment of foreign nationals. As the working visa is not a Schengen, you will not be able to visit any other European country belonging to the Schengen area. Verify first whether your profession is in demand at the moment, please contact the consular office for employment in Germany. On the basis of the German legislation, foreign citizens cannot work in the country without the special permission of the Federal office for labour. Prepare documents necessary for registration of the visa. 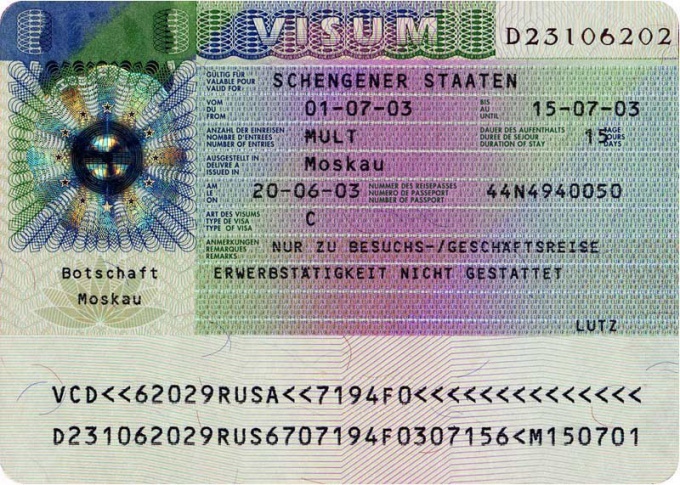 The documents consists of three copies of the questionnaire with photographs of 4x5 cm in the German language with its own signature of the person who wants to obtain a visa, foreign passport and Russian with the indication of place of residence, contract of work or letter of invitation from Germany, permit companies for foreigners on employment. The validity of your passport should be at least 90 days longer than the term of the visa. All documents must be original (not a photocopy) and have two copies. Pay the visa fee. For adults, the fee is sixty euros for children thirty. In addition to need additional documents, please be prepared to provide them. If submitted information is inaccurate or false, you will not be allowed to enter Germany and on the territory of other Schengen States. Check the correctness of the data in the visa when receiving: period of visa validity, the number of possible entries into the country. If you are traveling with children, the visa must be indicated by appropriate mark. The procedure of obtaining a work visa usually lasts for several months. After the Embassy receives permission from the institution for foreigners, you will be notified in writing. If within 180 days after you filed the petition for the issuance of a work visa and has not received written notice, you can know the status of your application by phone. Don't try to get a job illegally. You are not only socially not protected, but subject to deportation when identifying the violation. 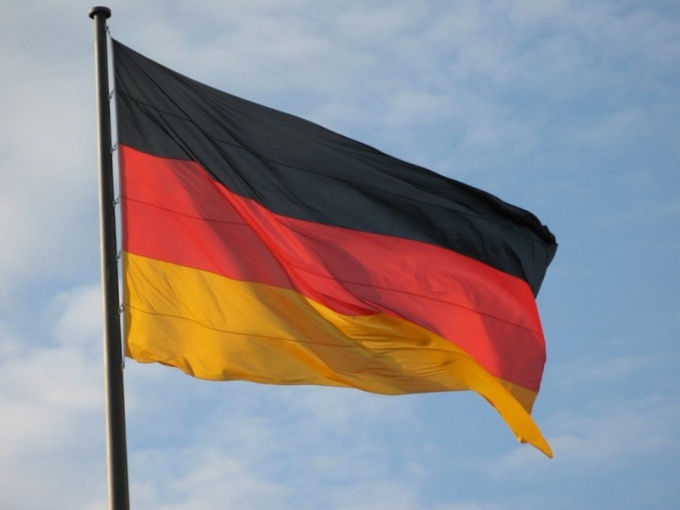 On a work visa, you can only deal with the work in Germany, which is specified in the permit. To get a work visa, you must obtain the consent from the competent authorities for foreign nationals in Germany. The procedure for obtaining permission can take a long time, up to several months.